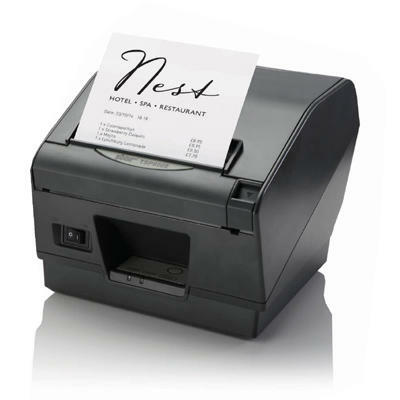 The Star TSP800 printer is a very fast thermal barcode, label, receipt and ticket printer which features a unique paper width of 112mm wide on papers of up to 150gsm in weight. The unique scalable Raster driver allows the printer to print pages which are scaled down from A4 to A6 and still be perfectly readable, making it ideal for use as a compact internet printer or even as a kiosk printer. The "Drop-In & Print" paper loading feature can accept paper rolls of various widths. 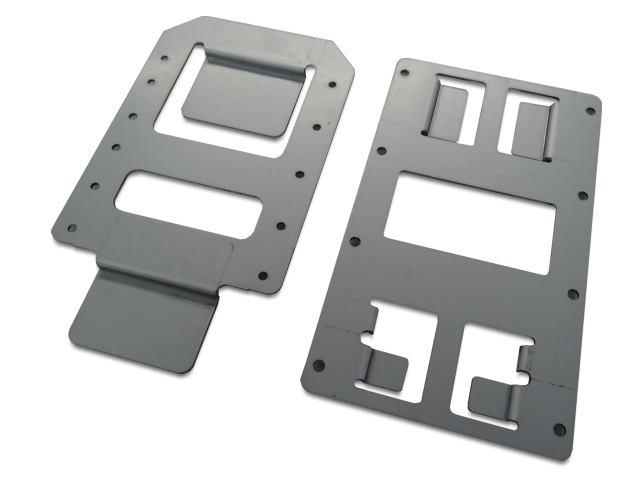 An external paper feed path for large diameter and fanfold tickets is standard. Interfacing is no problem thanks to both ESC/POS (including "Super Large" 40 column mode), Star DP8340 emulation mode and the traditional Star mode. A host of extra features including two colour printing, wall and desk mount brackets, interchangeable interfaces and drivers for most operating systems makes the Star TSP800 the ideal retailer's printer.